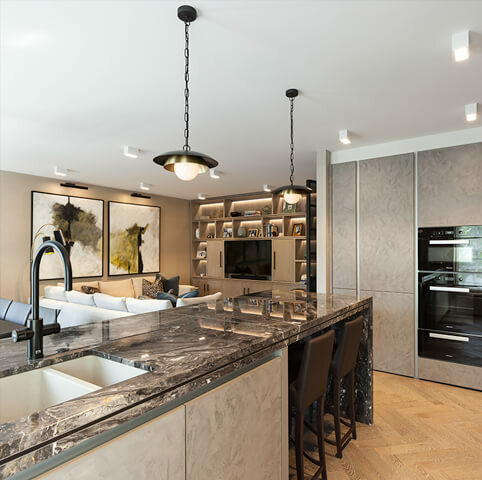 Our brief: to transform an imposing 4-storey property in need of major structural and internal changes into a luxurious family home. 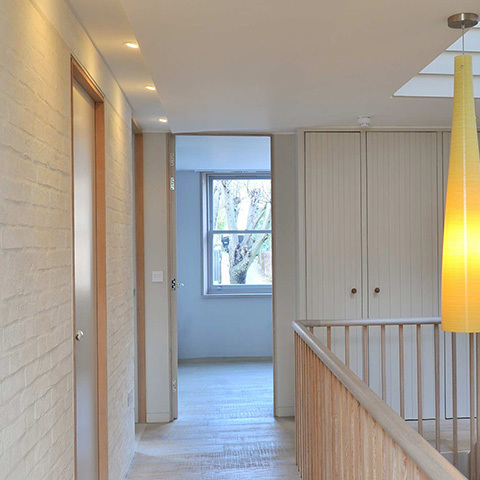 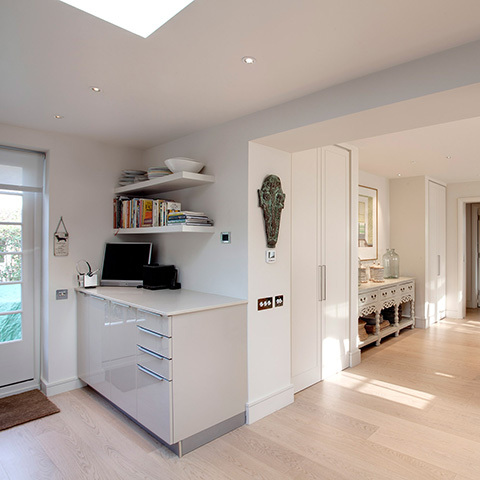 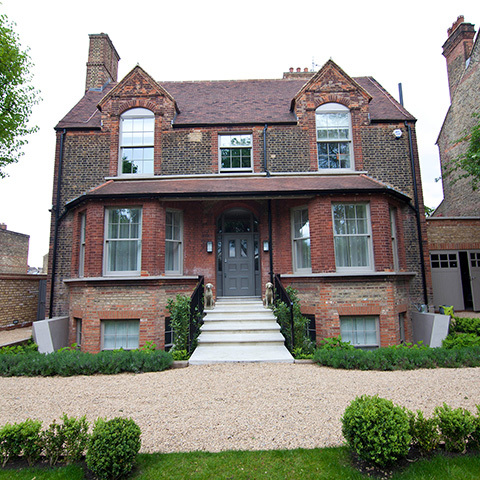 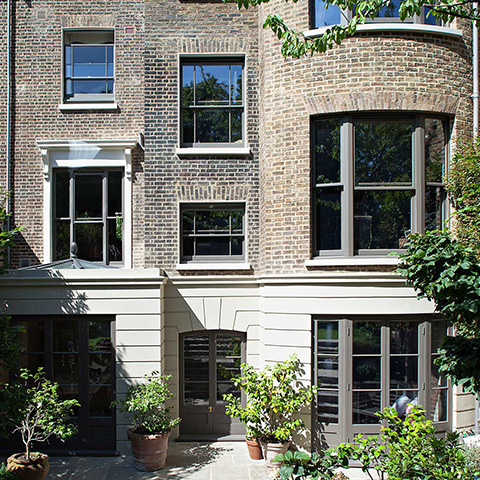 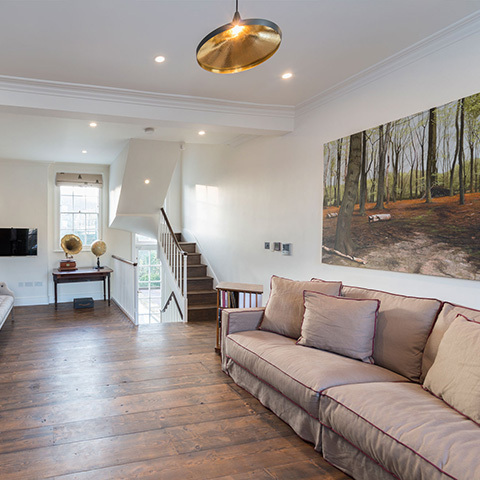 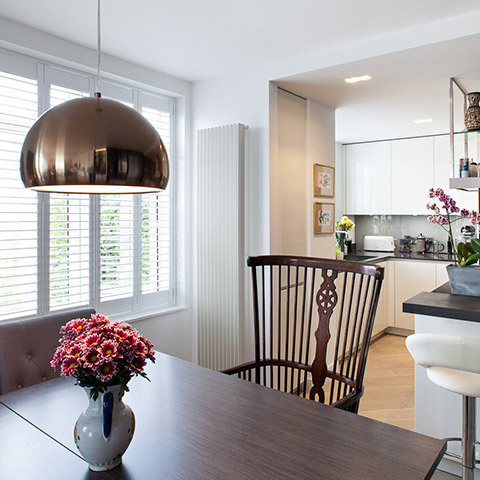 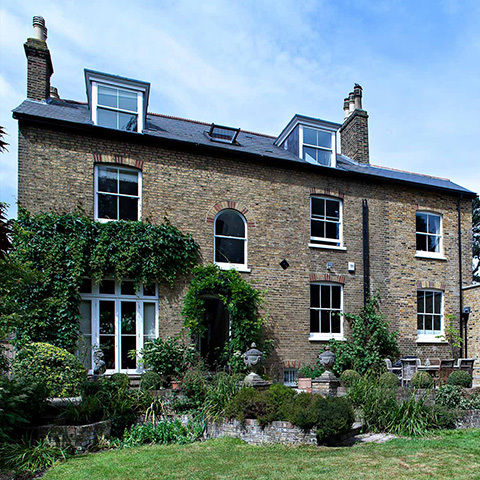 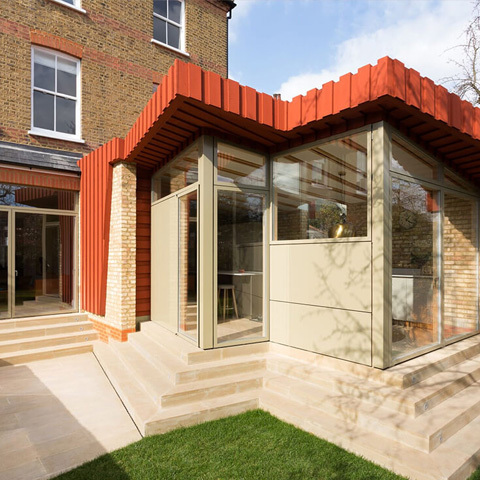 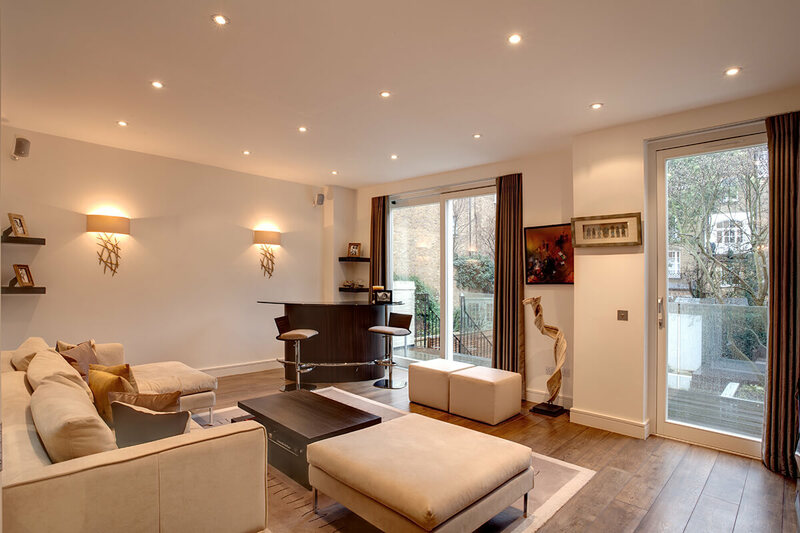 Major structural works and internal remodeling were necessary on all 4 storeys of the property including the addition of a 220m2 four storey rear extension. 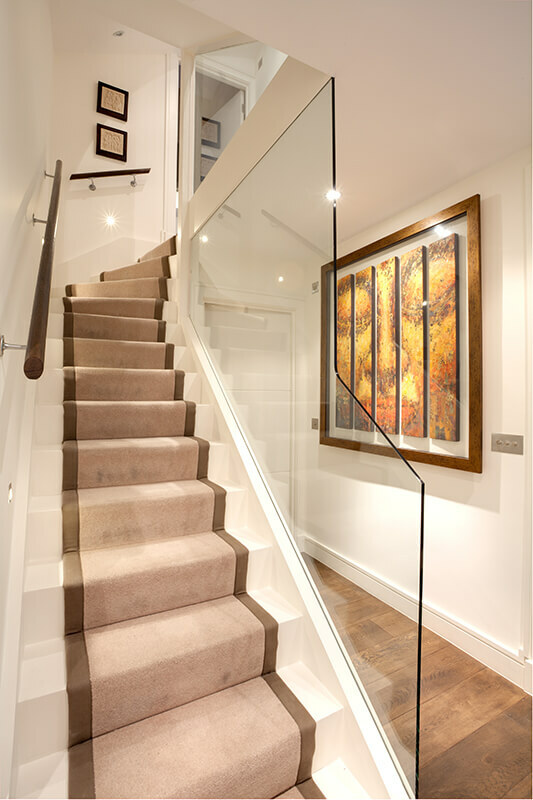 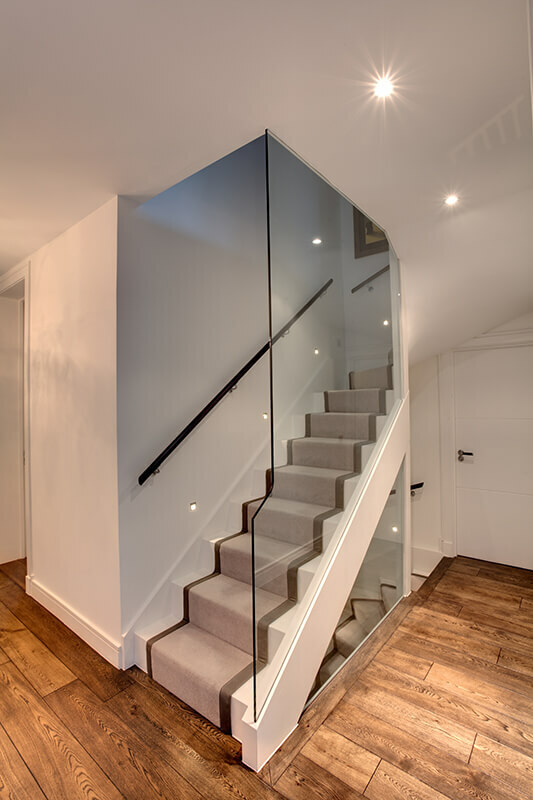 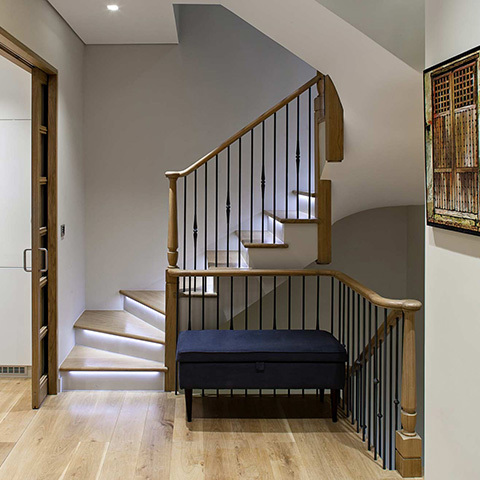 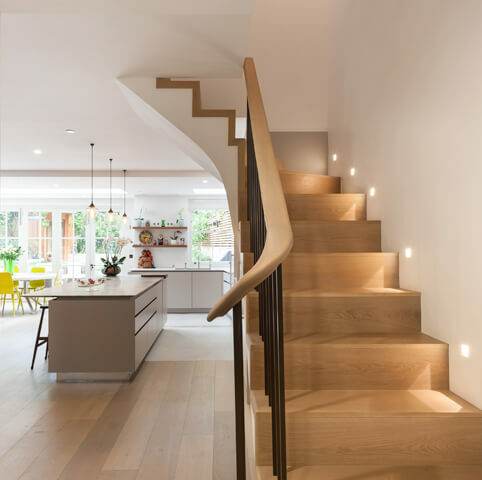 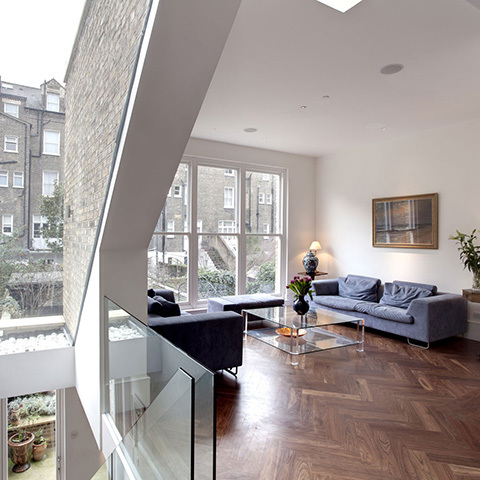 In addition, a new roof was constructed, new windows were fitted, new staircase and the striking floor to ceiling glass panels installed creating a great sense of light, space and drama. 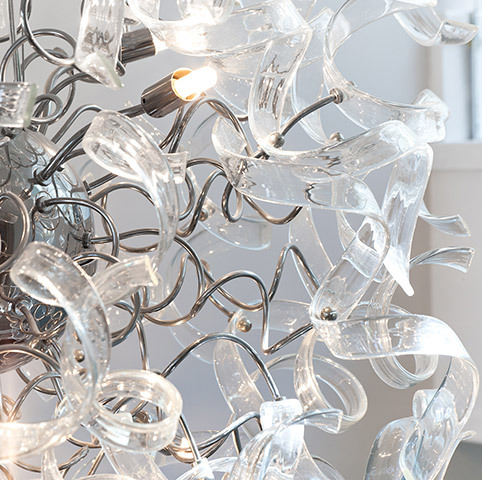 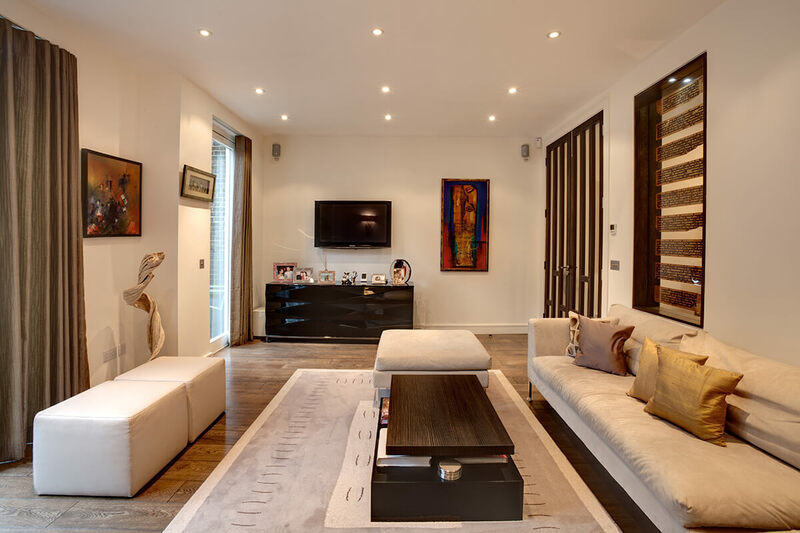 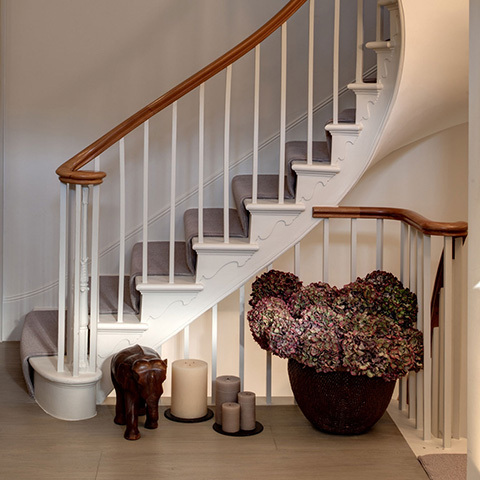 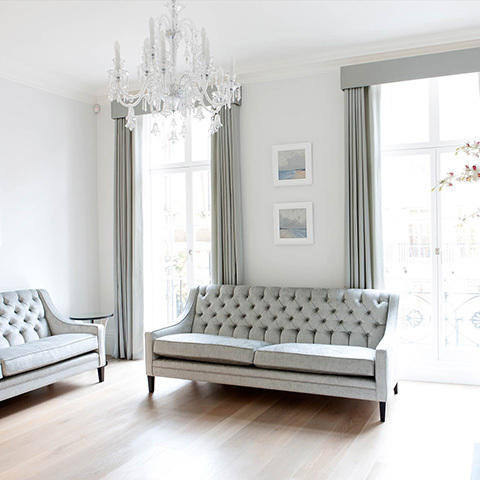 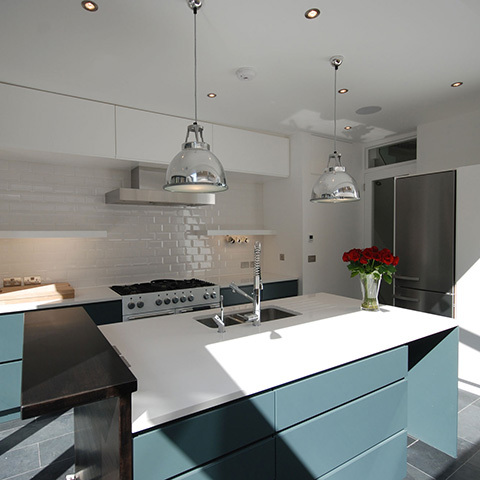 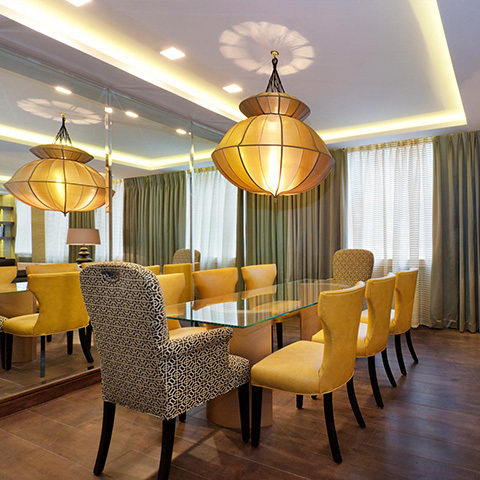 Working in close collaboration with interior designer Leena Gehlot of Mara Property, this substantial 4-storey building was vividly transformed and extended to the highest specification. 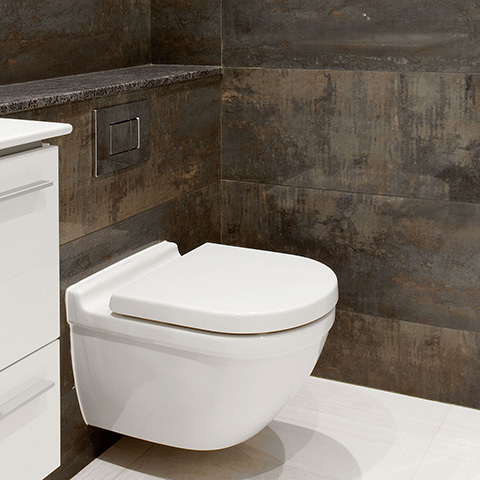 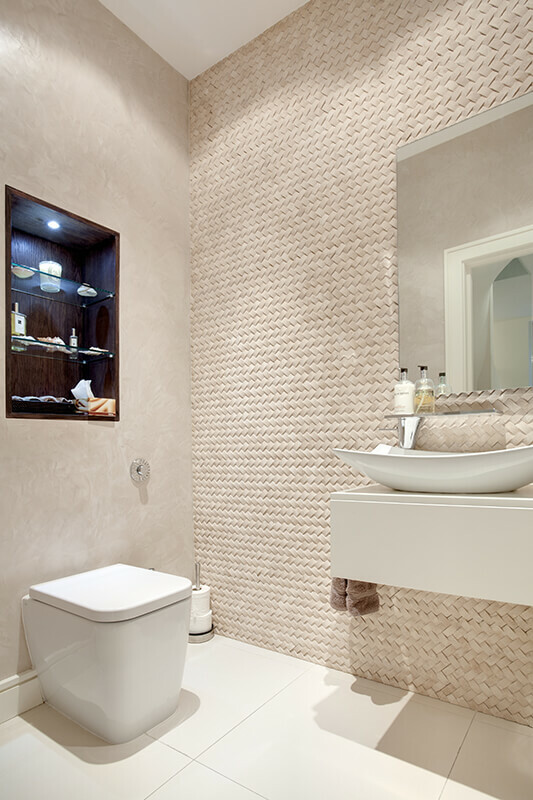 Fine attention to detail and exceptional design touches were added to create unusual effects, for example, specialist wall finishes such as Stucco Veneziano, giving the effect of interwoven limestone wall tiles. 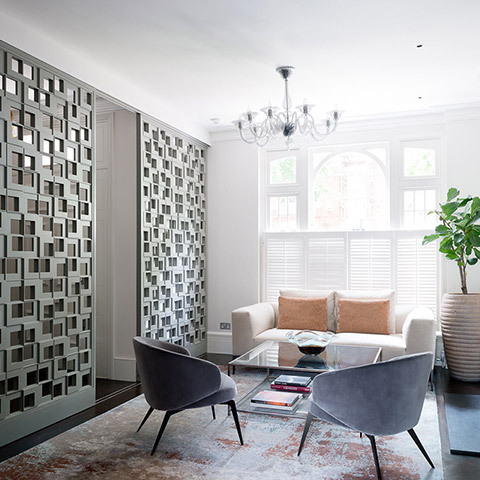 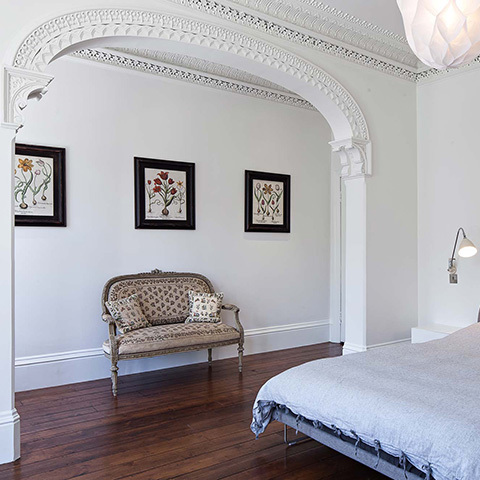 To complement the Stucco Veneziano wall tiles and the raised, textured wall covers that decorate the internal space, customised joinery pieces were carefully designed and hand crafted as statement furniture items. 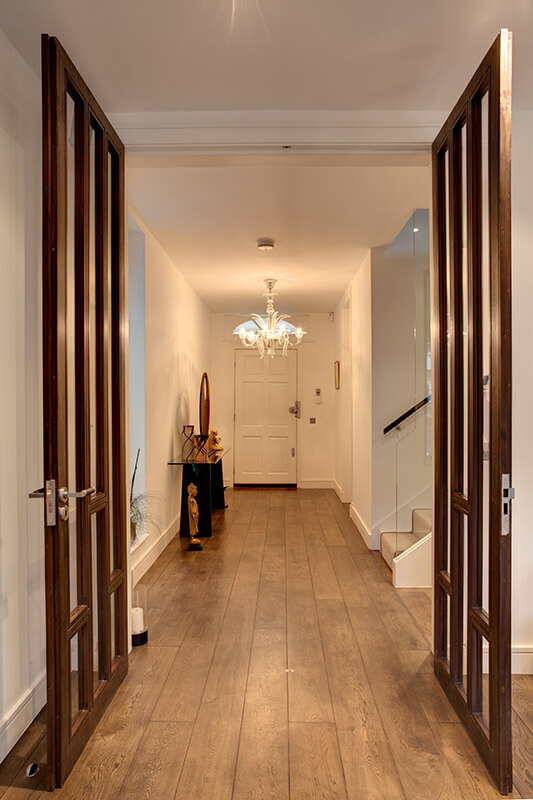 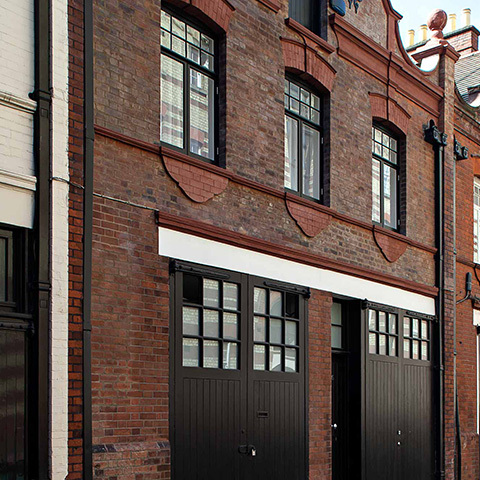 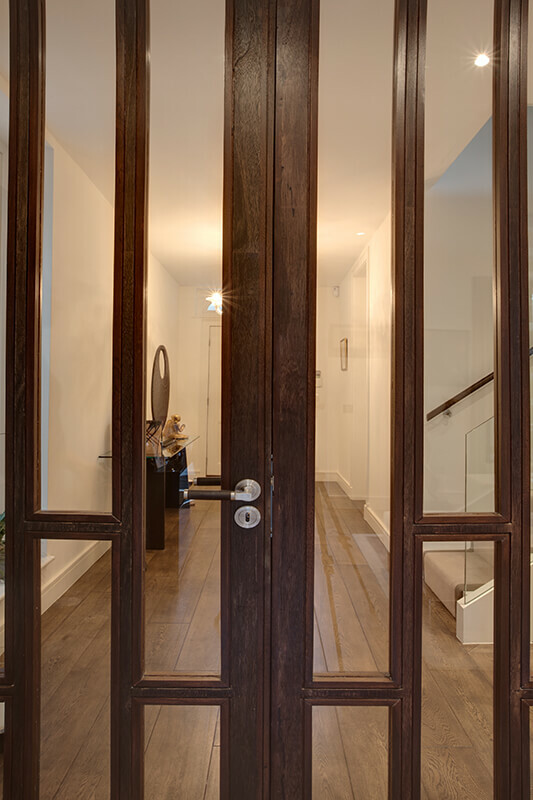 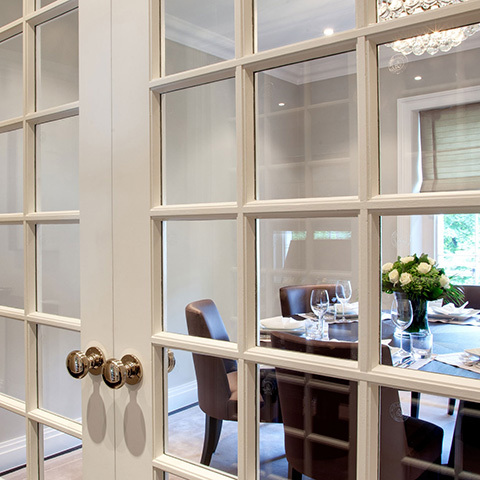 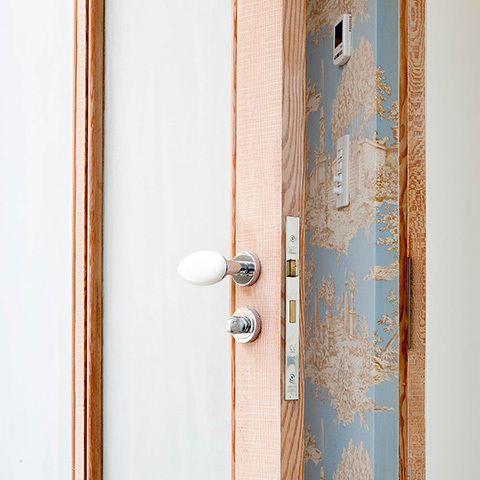 The solid walnut pieces and the internal wood and glass-paneled doors were produced exclusively in our London workshop to client specifications. 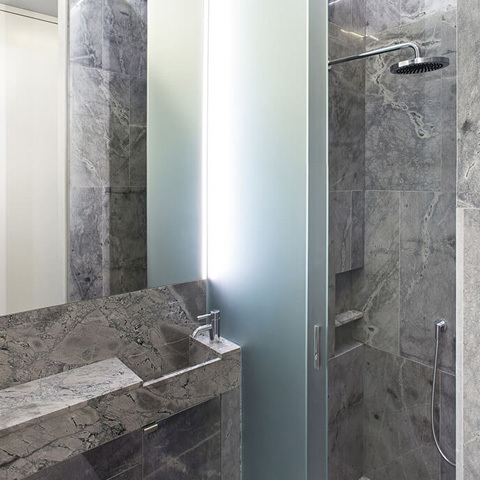 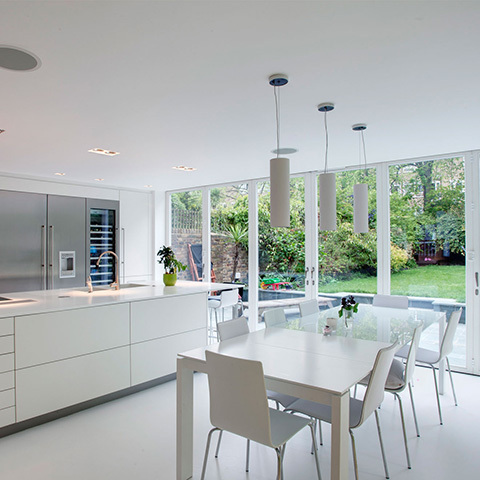 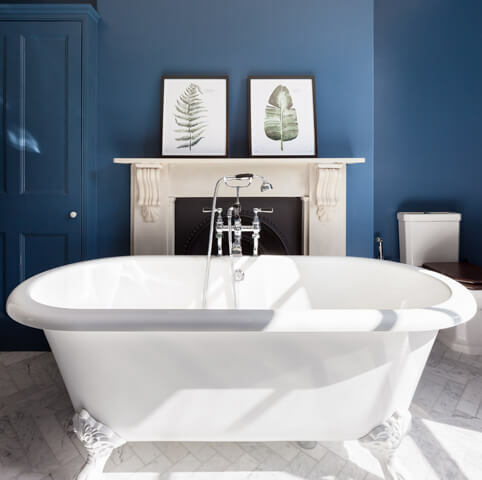 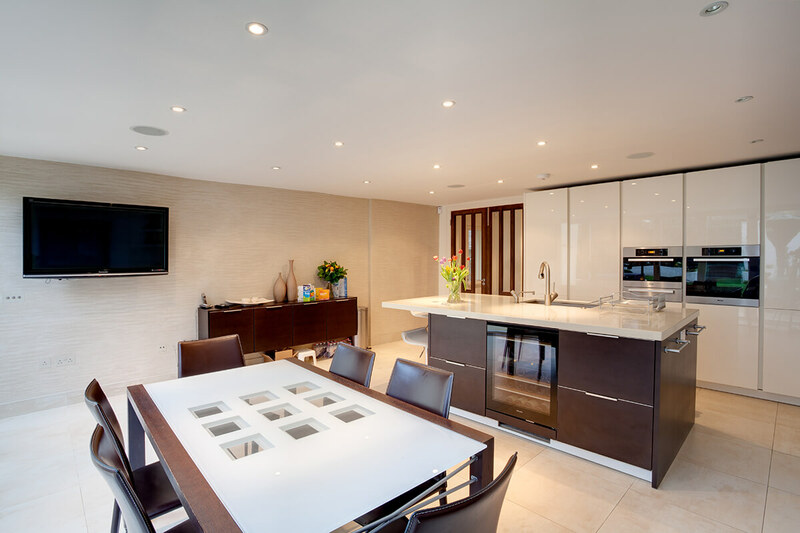 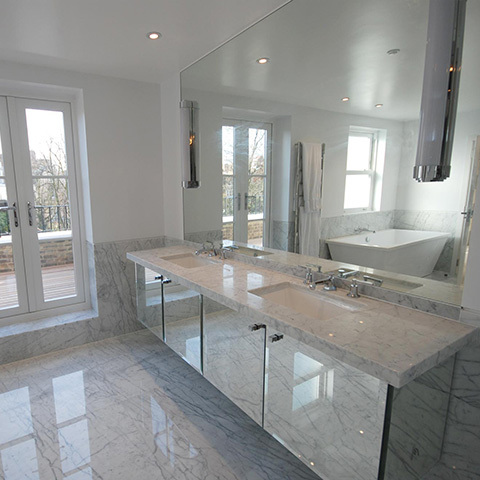 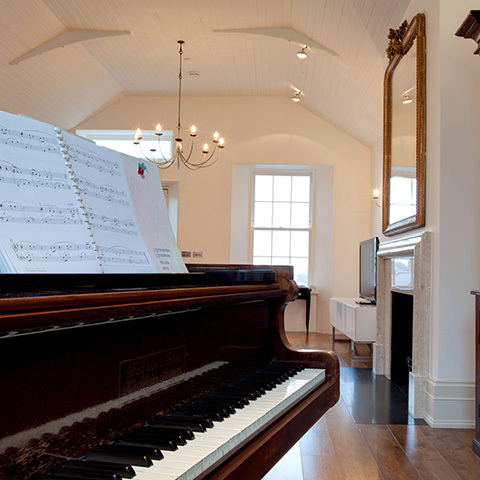 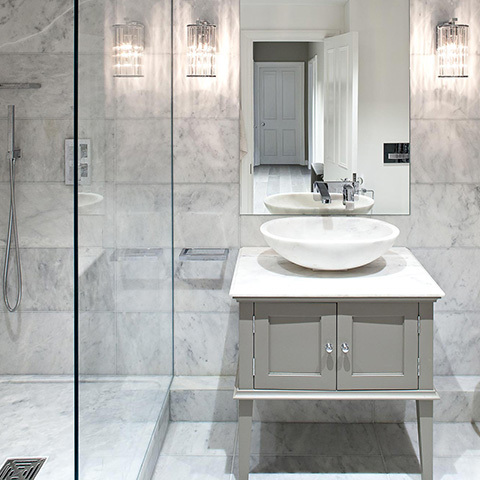 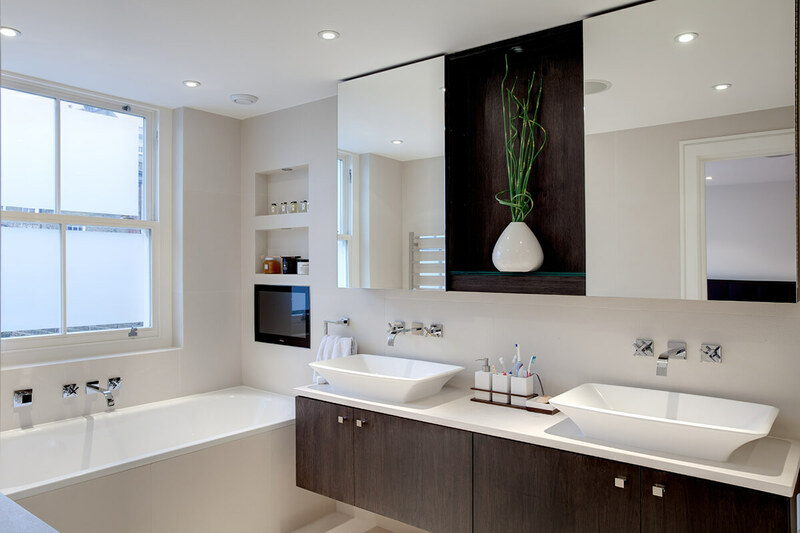 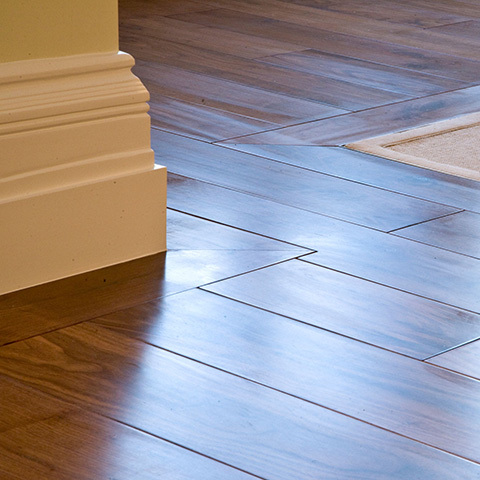 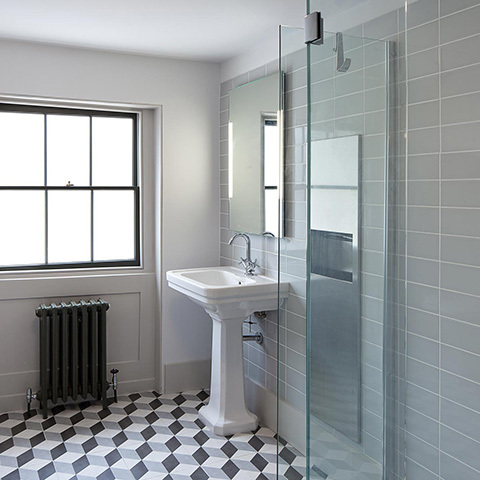 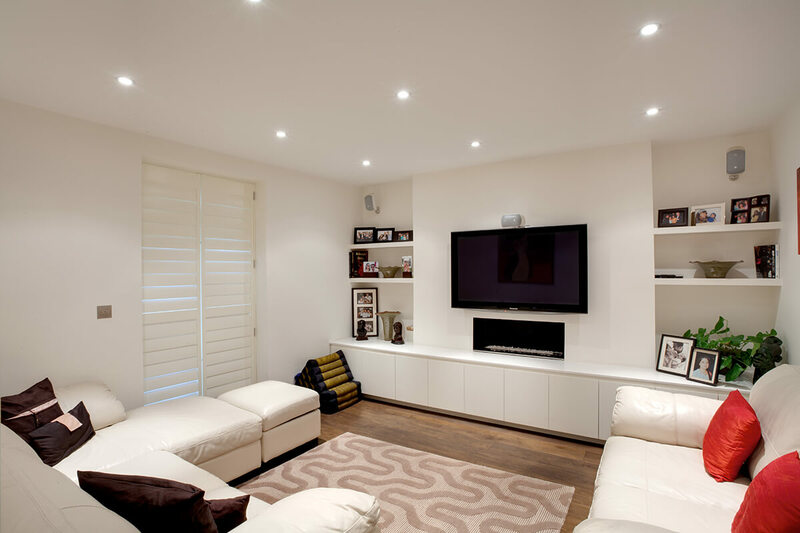 Additionally, the internal refit included wet underfloor heating laid throughout and the installation of a fully integrated audio-visual and lighting system. 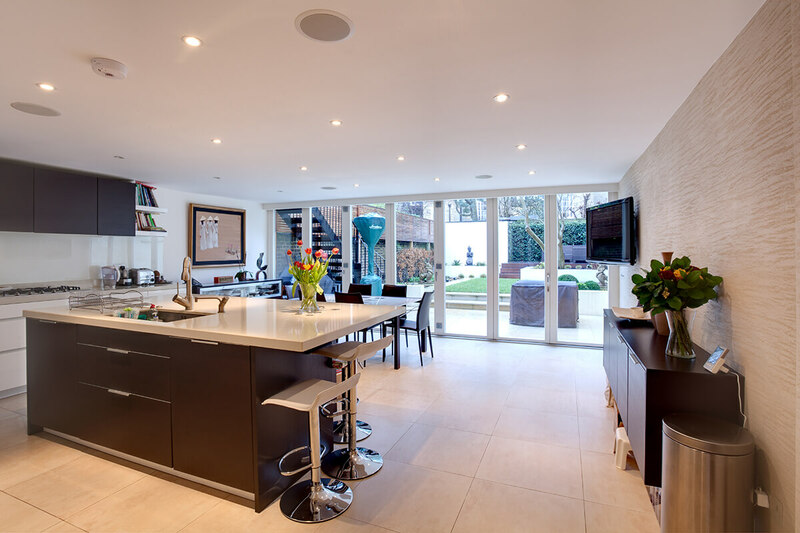 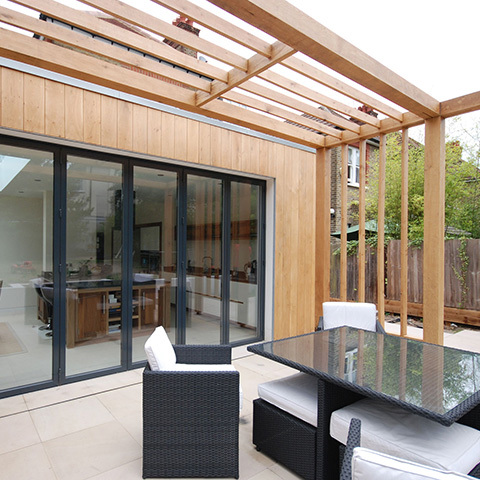 Externally, the beautifully landscaped rear garden was created as a natural extension of the interior space, calm, elegant, textured with the same exclusive touches of design flair, fitting for such a beautifully transformed family home.